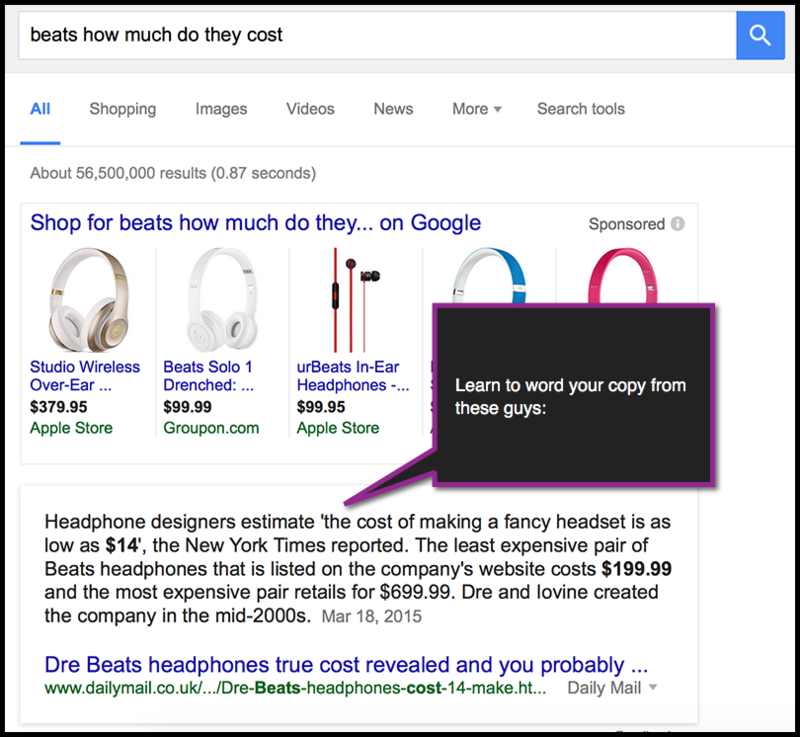 Since 2014 there has been a continuous debate in our marketing world: Are those Google’s quick-box results good or evil? Most of us seem to agree that it’s probably evil because it steals clicks from the original site by serving the user with the immediate answer to their query. The truth is, good or evil, it seems there to stay whether you like it or not, so your site is either in an answer box (earning more visibility and clicks) or below it (having even fewer chances to get at least any attention). 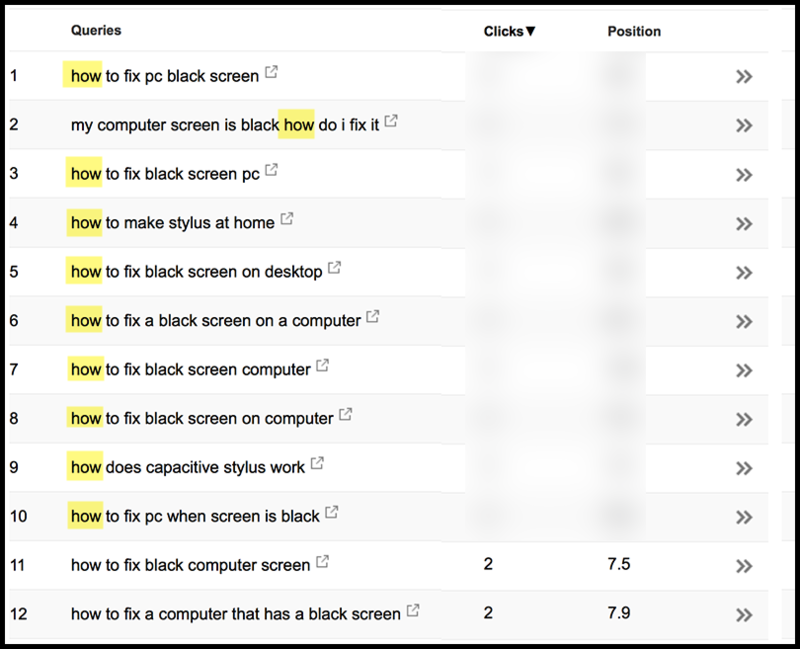 I already wrote a quite detailed article on optimizing your site for a quick-box answer results. Since then, I’ve come across a few tools that actually track one-box results which I was very excited about. 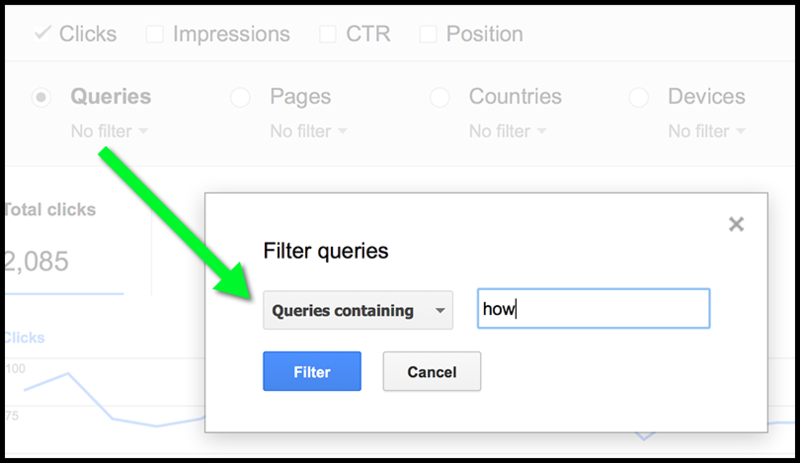 Navigate to Search Traffic -> Search Analytics inside your Google Webmaster Tools dashboard and click “No Filter” below “Queries”. There set a filter using a question word (I filter by “how”, “what” and “why”). 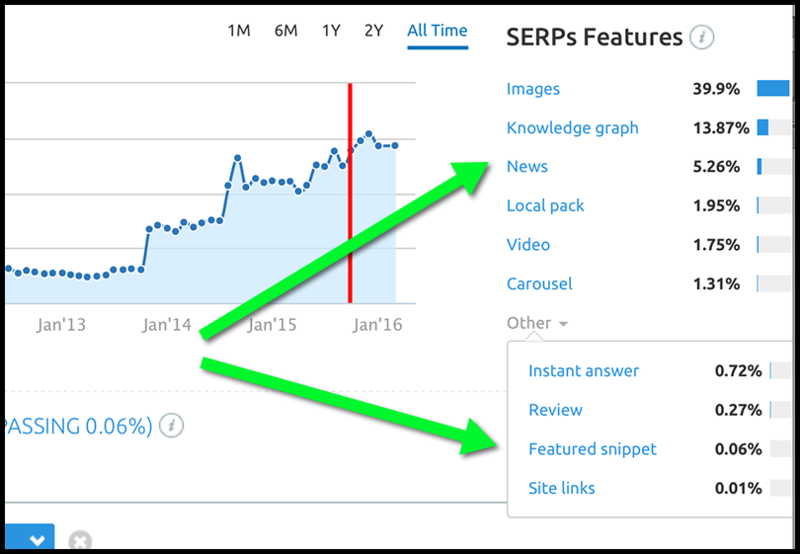 Clicking any link in the widget will filter the keyword rankings report to only show the keyword triggering that SERP feature. Tip: You may want to sort result by “Position”: The higher your competitor ranks, the better the chances they have taken the one-box as well. 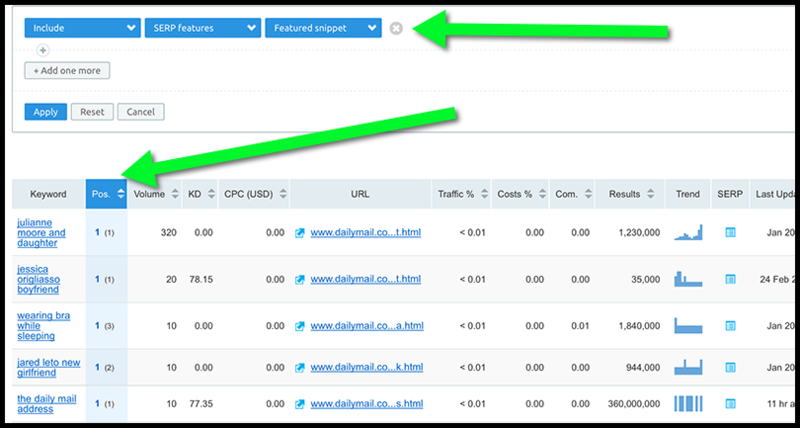 Furthermore, the same report is included into SEMrush “keyword difficulty” section which is pretty awesome! SERPstat is a newer keyword and competitor research tool with a huge potential. Type any word and it will come up with thousands of suggestions. Navigate to “Organic” section and you’ll see one or more icons representing different elements of Google’s blended results that appear in a page. 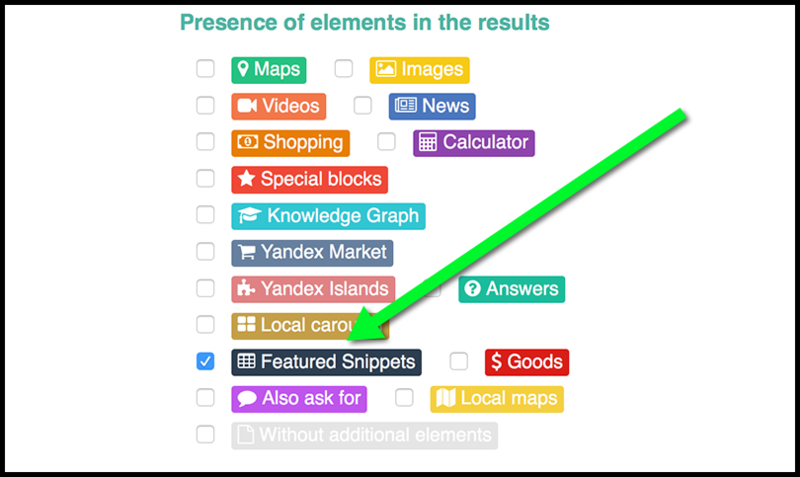 As far as you can see, like SEMRush, SERPstat supports all kinds of other Google’s page elements including blended results (image, news, local, video results), knowledge graph, etc. 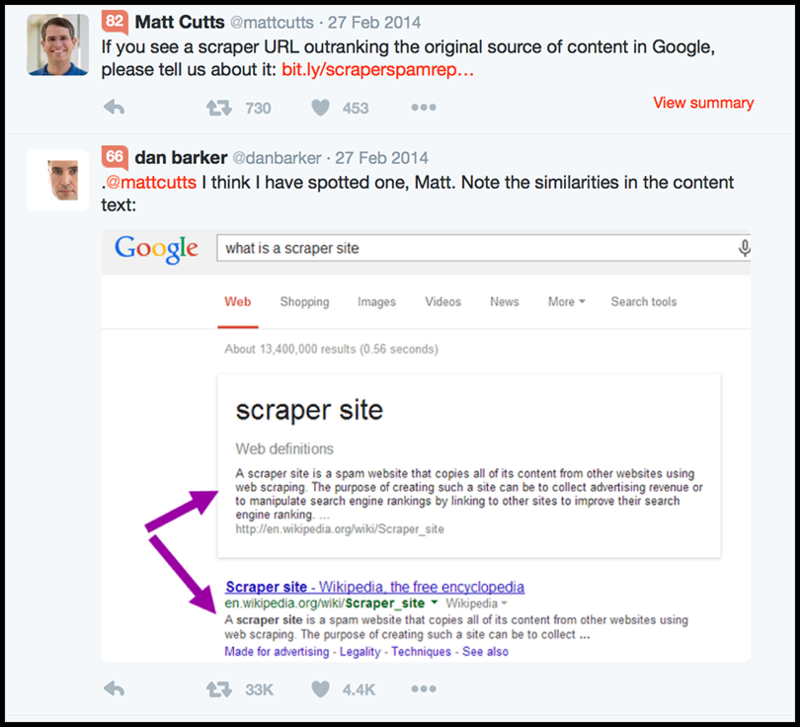 Are there any other tools helping you to rank in Google’s one-box results? Please share in the comments! So many pieces to the SEO puzzle. Thanks for making it easier for all of us, Ann! Hi Ann and thanks for the great provided info. Have you tried this Free SEO Tool http://www.keurt.com ? I’ve tried the free version, it gives few keywords analysis on how to optimize websites in order to rank them. Can you get a review for their service? No, I haven’t tried but I’ll look into that. Thanks!